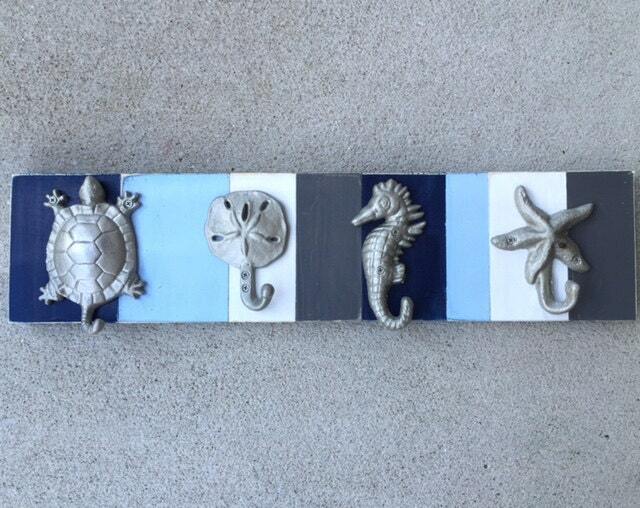 Our customers will love this new color combination: navy, white, light blue and a beautiful gray. 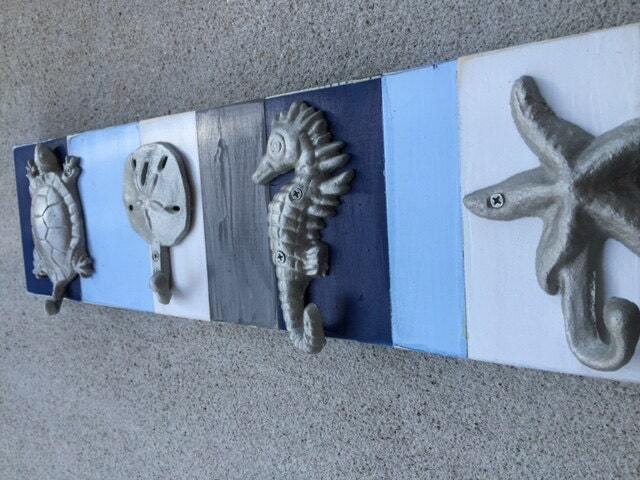 Now you can get the same distressed gray we use on our headboards! 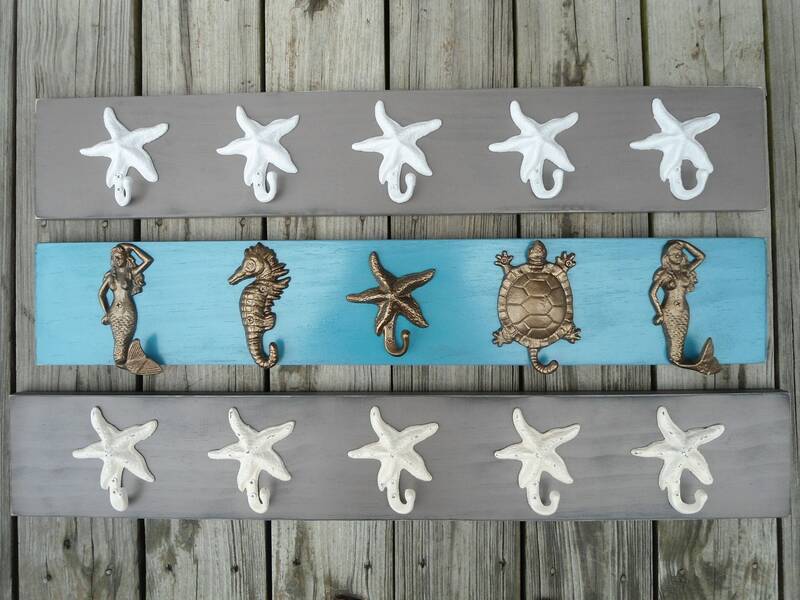 (photo 1) Our beach home décor, handmade towel racks,as you see in the photos, are one of our bestsellers. We've mounted the 4 hooks (shown on board we just shipped) that we painted on premium wood we've cut sanded and painted; these are actually some we've just shipped. You can change the hooks on your board, but this listing is for the exact color board as shown-note how the width of the boards vary. 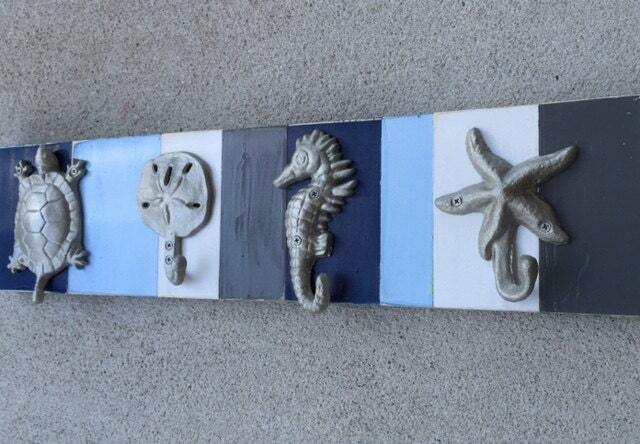 PLEASE NOTE: All hooks boards with mounted hooks now have a 7-10 business day turnaround time. This listing is for your own custom piece like the one shown, made from premium wood that has been cut by Tommy, painted with a couple coats and sanded some more. Then we attach these lovely hooks, shown painted in satin nickel. They're cast iron, and painted with premium paint that can go outside as well. turtles, crabs, lobsters, mermaids, sand dollars, starfish, anchors, boat cleats, sea horse... We also have dolphins and whales, but they are too wide to fit 4 on this board. 1. what hooks you want- list them from left to right. 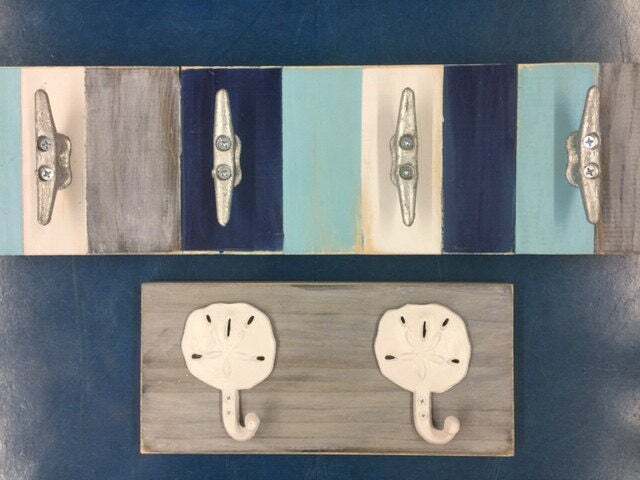 If you like this look, check out our other hooks and towel racks; we'll continue to add fun shabby chic and beach decor in the same price range as this listing, for mounted and unmounted hooks, on painted pine, reclaimed wood, or as a stand alone hangers. Convo us with ?s. Love it! It is beautiful and very well made.